Create a QR code with your own logo, colours and shapes. It not only looks better, but also leaves a lasting impression with your customers. JPG, PNG, SVG, EPS. – Download your QR codes in high resolution pixel- or vector-based formats that are suitable for all print options. How often and where are your QR codes being scanned? View this information and more via the scan statistics. Labelling, sorting, searching, archiving and deleting — use the extensive administration features to maintain an overview of large amounts of QR codes. Would you like to change the QR Code type or the information it contains? Dynamic QR codes can be edited at any time — even after printing. Important: Static QR codes cannot be converted into dynamic QR codes. Please keep this in mind before printing. Create up to 5 static and 1 dynamic QR codes — entirely for free Free Paket . Please register for free in order to use this code type. Please register in order to create dynamic QR codes. This QR code is static. We will not save it, and it cannot be changed or analysed statistically. Send your QR Code direct to your inbox or share it with a colleague. Your QR Code is on the way to your inbox, it may take up to 10 minutes until it arrives. Depends on your email provider. This QR Code is static. It cannot be edited and does not count scans. Sign up for free now and benefit from our PRO features. Already have an account?Log in here. Would you like to get as many scans as possible? Attract significantly more customers by adding colors and a logo to your QR Code. Plus, you can even see how many people use it. Sign up for free and try it out right now. Before Printing: Upgrade your QR Code! Paint your QR Code with bright colors and add your logo to it. Plus, you can even see how many people use it. Sign up for free and try it out right now. To embed the QR code on your website, use the following HTML code. Commercial usage is allowed. A QR Code Writer is special online software for creating and saving QR Codes or for converting different information into QR Codes. 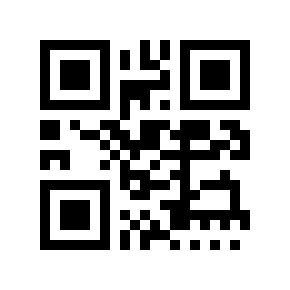 Our QR Code Converter offers the best quality and service and is trusted by thousands of customers all over the world. In order to create a QR Code, select the QR Code type. Without registration, you can use several types of Codes. For example, apply a vCard QR Code to save your contact information or a URL QR Code to link to a Web page. It is also possible to encode email or text messages in a QR Code. Enter the information you want to encode into the fields provided. Press the Create QR Code button. The QR Code Converter generates the Code that is now visible on the right-hand side. You can download it in JPG format or embed it into your website. Creating a QR Code with the free QR Code Maker takes only a few seconds. Choose from a variety of available QR Code types: from a vCard to an Email QR Code. Save the Code or insert it into your website with ease. You can fully customize the QR Codes you create. For example, change their color or shape and add a logo or any other image. Designing QR Codes according to your company brand or current marketing campaign has never been that easy. Customized QR Codes will surely be noticed by your customers and get scanned in the first place. The QR Maker allows you to work with so­-called Dynamic QR Codes. These encode a short URL redirecting users to the Code’s content. Thus you can change the files or other information stored in the Code without having to generate and print it again. This is a useful feature if you want to correct mistakes or just update the content of the Codes any time. All Dynamic Codes produced with our QR Creator can be tracked in real time. Our Software records when, where and how many times each Code has been scanned. All information is presented in the form of easy­-to-­understand graphs and tables. What is more, the table with raw data can be downloaded in CSV or PDF format. If you use QR Codes for printed materials such as flyers or catalogs, you need high­-quality image files. With the QR Code Builder, you can download files in high resolution in JPG, PNG, SVG and EPS format for any print or digital uses, even for printing Codes in very large size. We provide you not only with a QR Code Maker, but also with detailed instructions, creative ideas and support per email and telephone. We will help you learn all you need to know about QR Codes in order to succeed in mobile marketing campaigns. Generate a QR Code linking to your Facebook page and print it on a sticker. Put the sticker on your shop window or at the entrance to your company. After the Code is scanned, a landing page with a “Like” button will be displayed. Satisfied customers or people who know you locally are most likely to become your Facebook fans. With the QR Maker, you will get access to Image Gallery Codes. They can become a part of your advertising in newspapers or magazines and show your product or service from the best side. These Codes contain an interactive gallery with one or more pictures. You can save space in ads and still be able to show high­-quality color images to the readers. One of the extra possibilities our QR Code Creator provides is linking to a file in PDF format. PDF QR Codes are ideal for displaying any additional document e.g. a price list or a takeaway menu if it does not fit on your company flyers. PDFs are a compact and convenient way to share important information, especially considering that they can also be stored on the devices of your prospective or present customers. MP3 QR Codes contain an audio file that is played with the built­-in player after the scan. Using this Code type, you can integrate short podcasts about your product or service directly into flyers or business cards. Speaking in person is the best way to bring the uniqueness of your offer across to a prospective customer. App QR Codes generated with the QR Code Builder redirect users to appropriate app stores depending on the operating system of their smartphones. Print a QR Code linking to your app on postcards and distribute those where your target audience might be: in restaurants or clubs, at tourist offices or at public events. If the card is well­-designed, it will very likely be kept or posted to another person. Our QR Code Writer offers more possibilities than any standard online QR Code software. Customized design, tracking feature, high­-quality files―all this is accessible after registration. It is a great way to employ creative ideas and provide that little extra to your prospective customers. In addition to excellent software, QR Suite also offers great advise. There are always friendly staff members available to explain the features and help with the creation of codes. After extensive research, we decided on qrsuite from QRCode-Generator.de The Ease of use and an informative backend were what sealed the deal for us. The Generator is well ahead of the competition in these areas, and the personalized service rounds off their positive image.